The possibility of wisdom tooth extraction can unnerve quite a number of people, thanks to the general misconception that it is a painful process. On the contrary, wisdom tooth extraction is just like any other tooth extraction process and is carried out by either a dentist or a specialist surgeon. Nova Dental has excelled in the field of medical dentistry for quite some years now. We are the most sought after dental office for wisdom tooth removal Auckland and have a team of highly skilled dentists who can make the process as painless and hassle free as possible. 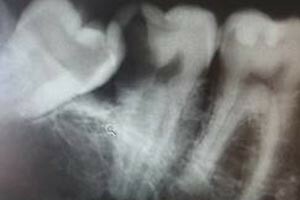 A wisdom tooth extraction process usually starts with an x-ray of your mouth to ascertain how the procedure needs to be carried out. As the norm, we talk to you upfront about the details of the procedure along with the costs involved. We are pioneers in providing wisdom tooth extraction services at highly competitive rates; a factor you will be able to notice instantly when you consider wisdom teeth removal cost Auckland. The process of wisdom tooth extraction continues with the dentist scheduling an appointment for you. On the day of the procedure, you will be given local anaesthesia to numb the area near the tooth that needs to be removed. There are many parts to removing a wisdom tooth. Depending on how far inside the tooth is, a small incision may be made in the gum surrounding the tooth. 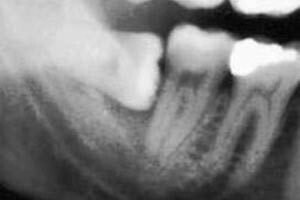 In certain cases, a small piece of bone that covers the tooth might also be removed. In some cases, the dentist may cut the tooth into several smaller parts so that they can be removed through the opening easily. A slight pressure will be noted at the time the tooth is being removed. This is due to the dentist rocking the tooth back and forth in order to remove it. A procedure involving wisdom teeth surgery Auckland usually takes about 20 minutes. However, the procedure can take longer in some cases. At Nova Dental, we try our best to make wisdom tooth extraction a painless process for you. We make use of the latest in dental equipment, including dental drills specifically designed for oral surgery, for wisdom tooth extraction. Our dentists will handle all your queries beforehand as well so that you are able to remain calm and comfortable during the procedure.